Simply the premier catering team in the region. The Preston Peak team of international executive chefs, sommeliers and front of house staff will create a decadent culinary experience to remember. Food is a joyous and essential part of any celebration. And our talented team can make any menu style sing. Enjoy a traditionally elegant à la carte sit down dinner. Share and celebrate with our famously generous feasting table. Enjoy a cocktail and tapas style function with our mouthwatering morsels. We are focused on bringing your vision to a stunning reality – so make the menu your own and think as creatively as you would like – perhaps you want to opt for a food truck style event, add a slider bar for your guests, or delight with a confectionery table or doughnut menu. Simply tell our team and we’ll conjure up any style cuisine and menu to match your taste. 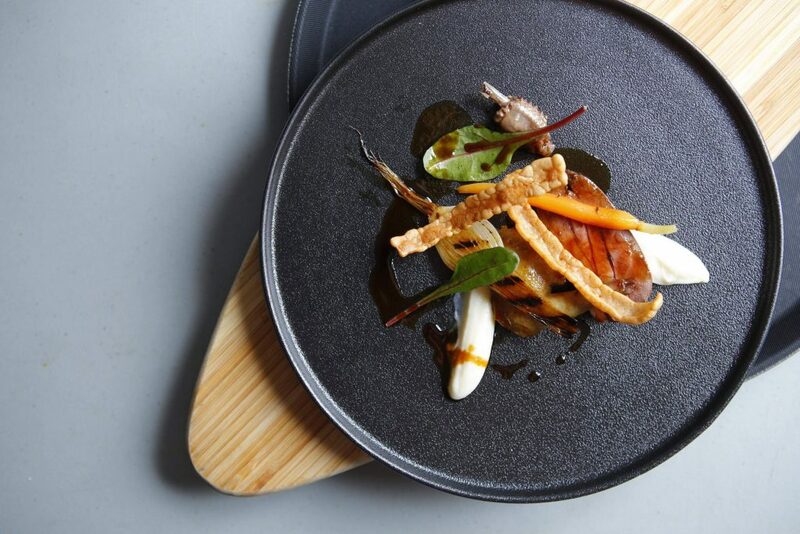 Preston Peak uses the finest quality, locally sourced produce from Darling Downs and the Lockyer Valley to truly create a unique dining experience that matches perfectly with our award winning and exclusive wines. And our team offers years of experience in catering to large and small off site functions – recent events include the LifeFlight Toowoomba Ball, Carnival of Flowers Qantas Gala dinner, launch parties and intimate dinner parties designed to impress. Our impeccable organisational skills and attention to detail will see your offsite event run just as smoothly as if it were here at the winery. We can cater to thousands of people at a remote location, or a private degustation in your own home. We invite you to let us take care of the catering and design an event that will leave a lingering impression on your guests.